Rapnews caught up with Foreign Beggars Beatboxer Shlomo to find out how he got into the verbal artform, working with the awesome Bjork and lots more. First up, how did you hook up and become a member of the Foreign Beggars? I had just arrived in Leeds and was overawed by the city’s musical scene. I was out raving at some drum ‘n’ bass rave, and remember seeing this one MC who really stood out from the others. Nobody knew who this short Asian guy was! He was taking on Shabba D back-to-back and really showing him up. Anyway the night finishes and I’m outside in a cypher furiously spitting my most violent DnB beats, when all the MCs come file out of the backstage door. None of them take any notice of the cypher except for the guy who we had seen onstage a minute earlier. The guy stops and spits a rhyme, asks if I can do hip hop aswell. Of course I can! He tells me I’m sick and takes my number. Turns out this dude was Pavan, AKA Orifice Vulgatron, founder of Dented Records and the whole Foreign Beggars movement. It was a really fortunate time to meet as they were about to put out their first record, and start doing live shows. I came down for the first show, which was Kung Fu in London, and after that I became a full time member. How’s the tour going and the reception you’re getting to the Crypt Drawl EP? Crypt Drawl tour was ridiculous. We ended up doing 26 UK dates, and not one of them was a flop. Too many awesome nights to highlight one of them. Was awesome but tiring. The EP has sold out its first run and reached no. 4 in the 1xtra Hip Hop charts. Are there any projects in the works at the moment and when do you reckon they’ll be in the shops? Foreign Beggars works? Yeah there’s a whole lot, but that’s Pavan’s territory really. There’s a few 12”s including one with Wildchild and one with OhNo coming so stay tuned to foreignbeggars.com! Besides from your involvement with the crew, have you put out any solo material yet? Not yet but have been in studio recently working working. Should expect my first release for Autumn time. When did you discover hiphop and more specifically, the element of beat boxing? I’m from a really musical family and been obsessed with music since childhood. See this: http://tinyurl.com/cq8xq was my first taste of hip hop in ‘94 aged 11! I never really was a full on hip hop head until the beatboxing came along. I have been a drummer since the age of 8 and was always making noise even when the kit wasn’t there. 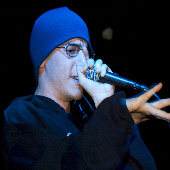 I first started honing my beatbox skills in 2002 when I won King of the Jam. 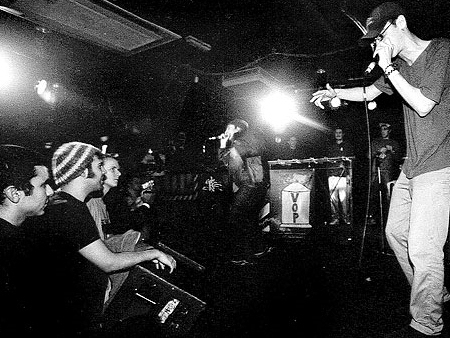 My first ever performance was at Killa Kela’s album launch, where he called me up to the mic straight after his set. Was not a calming experience! How much practice goes into developing the skill to the high level which you’re now at? Not a lot – I don’t practise anywhere near as much as I should. Who’s your all time favourite beatboxer and some of the domestic guys that you rate? How did you link up with Bjork to work on her latest album? Had she heard about you and so approached ya? Yeah someone told her I was hot. I think she googled me and sent an email, we replied and she left me a voicemail later that day. What was the creative experience like? Did she have strong specifics about what she wanted or was it very much a collaboration of idea’s? It was very open – she is totally hands on with her music, and every single tiny sound in the mix is down to her. She did have a lot of ideas and suggestions but it was down to me to come up with the beats. In the end she asked for an “electro-rhumba” style, my interpretation of which was put onto the tune! Did you get to spend any time with her on a social level and what was she like? Yeh man she is cool. People always ask me if she is crazy. Not at all! She is dead shy really. I gave her a list of UK Hip Hop to check! Have you got any collaborations up and coming you can let us in on, and who do you hope of the chance to work with? Well I’ve done a tune for Lotek (Roots Manuva producer) Hifi’s new album which is coming out soon on Big Dada, plus there are some serious heads reaching on my record! There are loads of people I would love to work with, probably top of the list is Quantic. What’s the latest record you’ve bought, and gig that you’ve attended at a fan level? Last record I got was Nitin Sawhney’s latest, and just saw the Quantic Soul Orchestra in Leeds – dope! What have you got up and coming in terms of live dates and releases that you wanna plug? Loads of mad shows coming up – we are headlining Fabric on June 10th, Glastonbury of course, then it’s off round Europe for the festival circuit. I have to plug our beatbox agency which has just launched: www.allfromthemouth.com cos that is a dope project, and yeh just stay in touch at www.shlo.co.uk! You got any shout out’s or messages you wanna throw out there? Big up one and all.. I told you it was all about 2005! Shouts to rapnews crew.